On behalf of the Putnam County C.U.S.D. 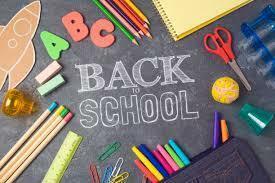 #535 Board of Education, Administration, and Staff, I welcome our students, families, and community members to the 2018/2019 School Year. As I write this, the Opening Day of school is just around the corner. The staff and administration have been working countless hours in preparation for the upcoming school year. As the district superintendent of our Putnam County Schools, I am honored to have the opportunity to work with such a dedicated and talented educational staff, hardworking students, and supportive families and community. Our team is looking forward to a great year. The district welcomes some new faces to the team this year. The most changes will be noticed at the Primary School. The other buildings do have some new faces as well. Putnam County would like to welcome the new members to our community. We would also like to sincerely thank our retirees for their dedicated years of service to our students. Putnam County C.U.S.D. #535 will continue the mission to provide an educational environment where all students will learn and succeed and all means ALL. The PC Education Foundation provides tremendous support and enrichment opportunities for our students that normally would not be possible. The Educational Program Improvement Council will continue to drive our curriculum enhancements. Rising Star remains our district improvement tool. The PC Mentoring Program will be busy providing all the new staff the necessary support. PC College Start is getting more interest from students. In honor of the district’s rich history, we are looking at forwarding the movement to develop a formal Putnam County Alumni Association. The school district launched a new mobile app and website last year. The platform allows the district to push notifications, announcements, and other pertinent information in a timely manner. Those interested are able to download the app for free in their app store. The district is also launching an automated substitute calling program this year to hopefully increase efficiency. Anyone interested in being a substitute in our district is invited to contact the district office. The Board of Education and administrative team spent a great deal of time focusing on improving the safety of our students and staff. Unfortunately, we continue to hear and read about the ongoing acts of violence across the country. The education and safety of our students remain as top priorities. The emphasis on improving our school safety is a multi-pronged approach. We have worked at hardening our buildings in an effort to limit accessibility. We have also reconfigured some spaces to enhance our building security. We have implemented a cutting edge notification system called Blue Point/Seconds Matter that will ultimately reduce response times while opening up the ability to utilize two-way communication. Our administrative team attended a Threat Assessment training this summer. This will ensure that reported situations are handled consistently while following researched-based best practices. Lastly, the biggest way for our school district to promote and cultivate a safe school environment is to continue efforts at building open and honest relationships with our students, staff, and community members. Putnam County offers a wide array of extracurricular opportunities for our students. These opportunities promote team building, problem solving skills, and enrich the overall educational experience. The PC Athletic Boosters and Music Boosters are running strong and poised to provide support to our various programs. As superintendent of our Putnam County Schools, I remain committed to maintaining fiscal responsibility while improving the educational programs for our children. People say it takes a village to raise a child. Fortunately, Putnam County has tremendous support for our children. Our family is honored and blessed to be a part of Putnam County and we appreciate everyone’s support. I hope everyone has a great year! !